We invented these bending tools now copied by other companies, however we still lead in innovation, design & customer support. Our Compound Gothic design (Max recommended width 24 ft.), first introduced in 2010. Producing this hoop design using only our DY-12 Bending tool and our peak connectors. 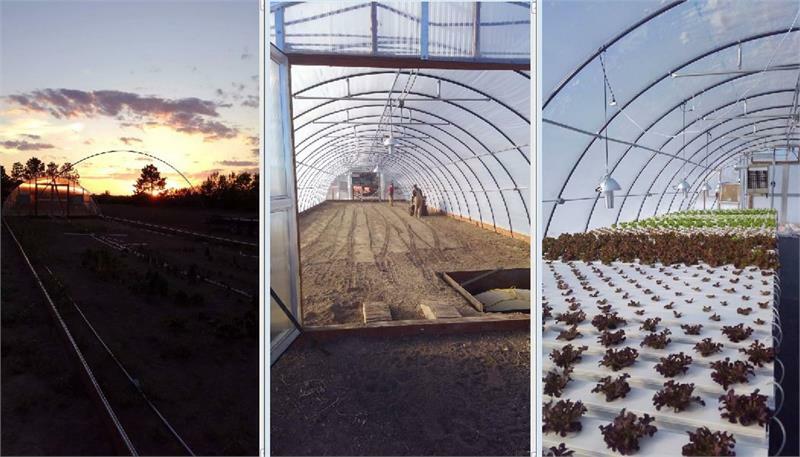 For High Tunnel-Hoop Houses-Greenhouses. Also in addition to our original all welded Gothic Peak Connector we now offer a NEW adjustable angle Gothic Peak connector. 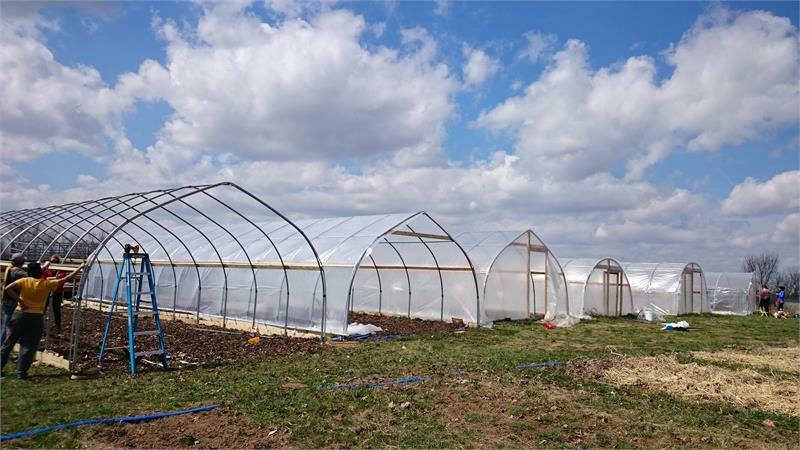 offers the diy greenhouse builder an economical way to enclose large areas with strong durable structures for fraction of the huge factory made greenhouses. This is a midsize 16 ft wide bay that is easily connected to adjacent bays to build as wide a structure as you need, 20 ft. wide bays can also be built in this design, however the 1 3/8" fence tubing is strongly advised for the hoops in 20 ft bay structures. Typically the post are 6 feet tall but 8 ft. post are doable in this design. Center height is typically 11 ft. when using 6' post. This style can also be built using 4"X4" wood post. without any serious loss of structural strength. 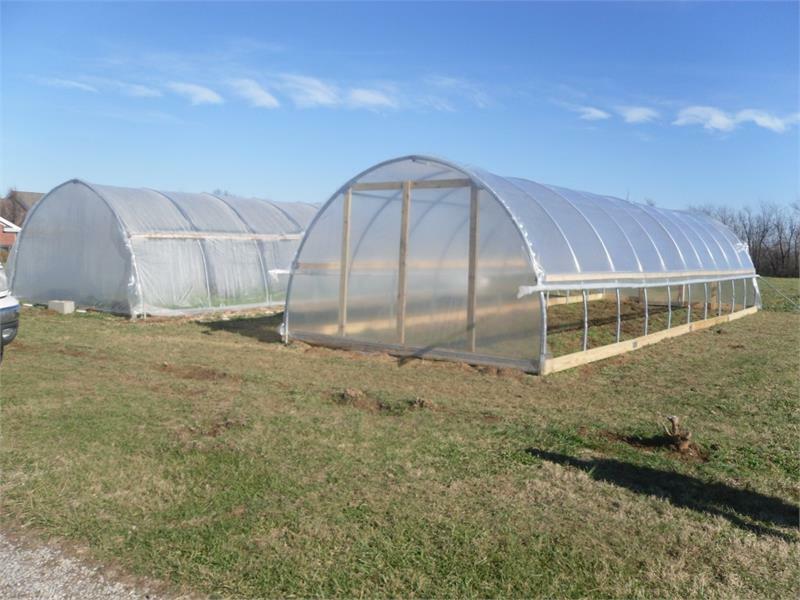 It's simply hard to beat this original 20' wide hoop house for cost, strength, durability. Built using our C-20 hoop bender and instructions! 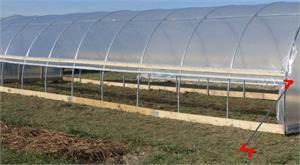 then install Poly on a Modular Gothic Hoop House.